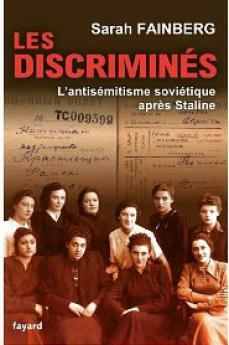 Israeli professor Fainberg explored how the USSR, which claimed to promote "friendship among the peoples", actually started out a policy of racial discrimination against the Jews, which were later crystallized in a kind of state-run racism. Some minorities, like the Tatars and the Chechnyans, faced deportations, while others while others gained privileges and climbed up the ladder of the Soviet nomenklatura. The Jews had been theoretically favored by the early revolutionaries, but they fell into disgrace after World War II and they were persecuted until the collapse of the USSR in 1991. Sarah Fainberg's book exploring the ways "pseudo-addressment of inequality" turned into a machine to crush the minorities, offers useful hints also for modern-day democracies. GULag is the acronym, introduced in 1930, of Gosudarstvennyj Upravlenje Lagerej (General Direction of the lagers). In 1918, with the beginning of civil war, the Soviet system created a broad network of concentration camps for the political opponents of the newly created Union of the Soviet Socialist Republics (the USSR). In 1919 the Soviets created the forced labour division. Forced labour was designed to socially redeem the detainees according to the very Soviet constitution. Besides the economic and punishment function, some lagers also worked in order to murder the deportees.